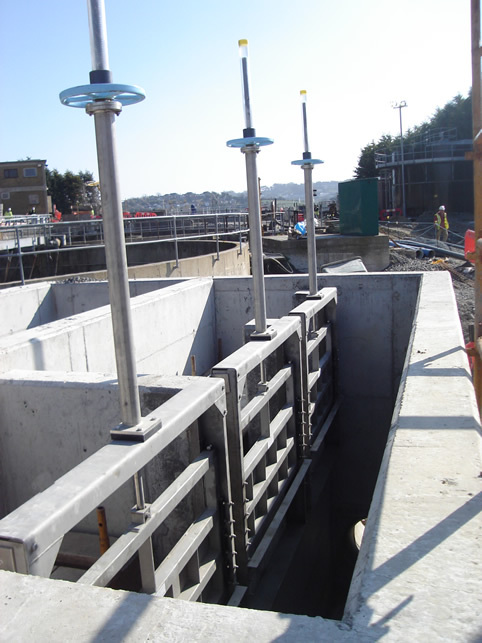 Weir Penstocks are utilised in water and sewage plants for accurate regulation or measurement of flow. 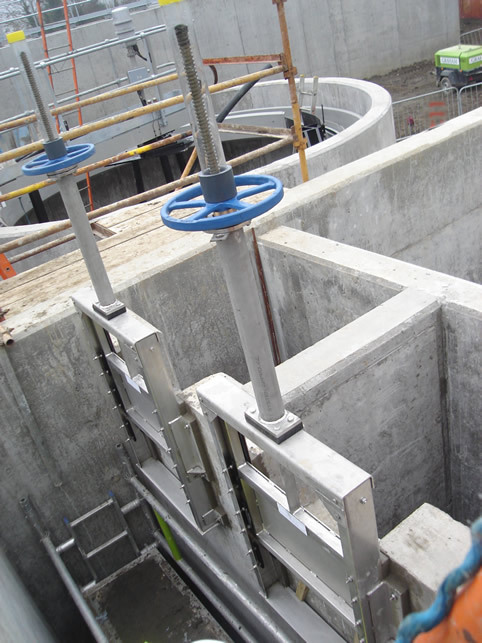 Operation of the weir penstock is opposite to that of a conventional penstock. 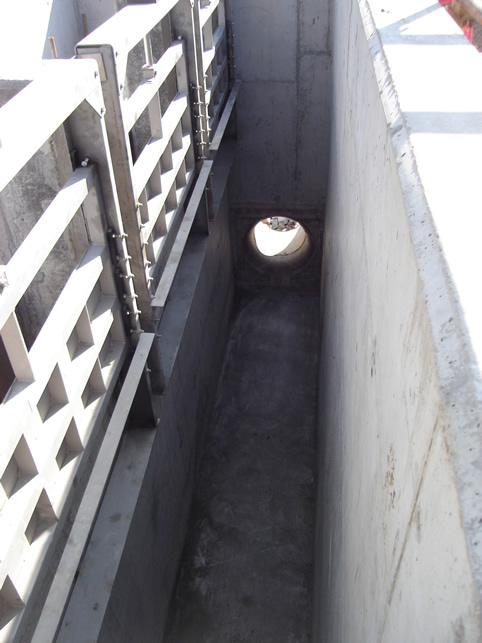 The weir penstock door opens downwards. 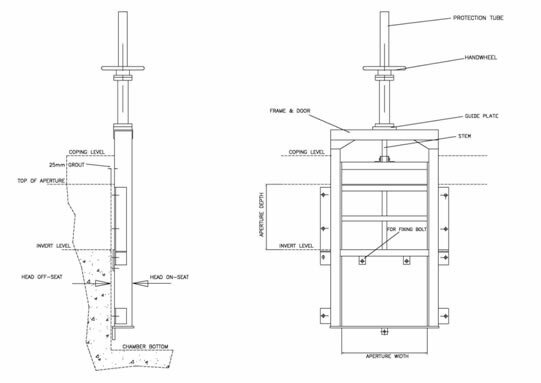 The illustration below shows a typical arrangement for a weir penstock being opertated with a rising stem.. 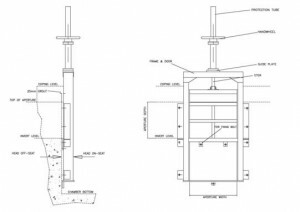 Non rising stem versions are also available. 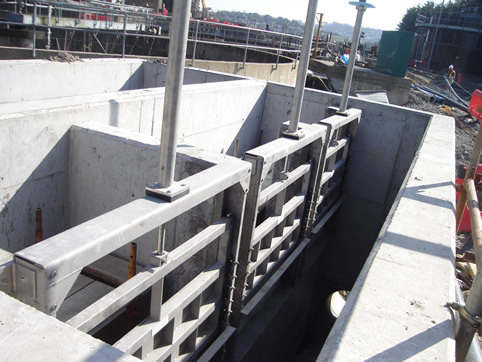 Size Range: The series W5000 Waterfront weir penstocks are available with both square and rectangular apertures; designed to suit specific size and pressure requirements.